This recipe is a fun play on an Asian stir-fry but uses ingredients that normally wouldn’t be included like quinoa, bulgur, and chickpeas. The bulgur and quinoa act as the rice often included in Asian dishes while the vegetables and chickpeas are enhanced with a bit of hoisin and soy sauce for bold flavor. Heat a tablespoon of olive oil in a skillet over medium. Sauté one garlic clove until fragrant. Add the quinoa to the skillet and toast for a few minutes. Pour in 1 cup of water or vegetable broth. Reduce to a simmer and cover. Cook for about 10 minutes or until tender and all the liquid is absorbed. Place the bulgur into a bowl and cover with 1/2 cup of boiling water. Leave to sit for 7-8 minutes before fluffing with a fork. 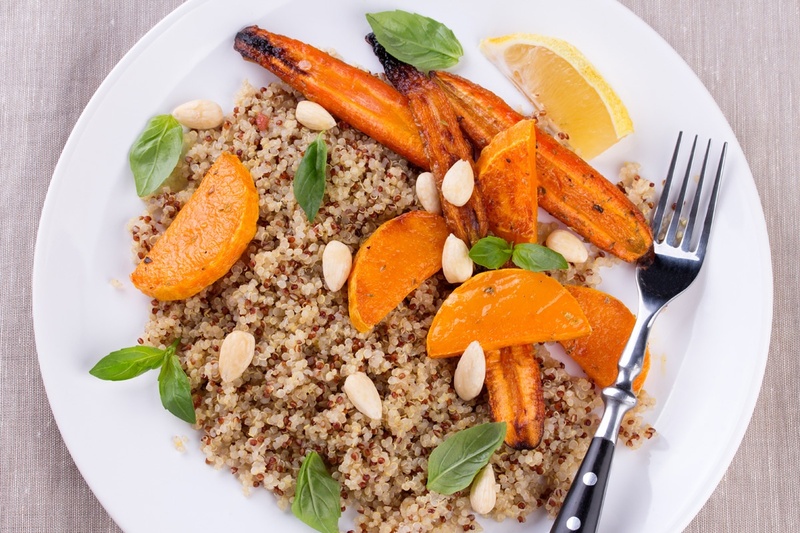 Combine the quinoa and bulgur. Season to taste with salt and black pepper. Drizzle a tablespoon of oil in a medium skillet. Add the garlic and cook while stirring for a few minutes. Add the chili flakes and cook for a few seconds. Add the broccoli, chickpeas, and green beans. Pour in the hoisin, soy sauce, and sugar. Cook while stirring until the broccoli and green beans are tender. 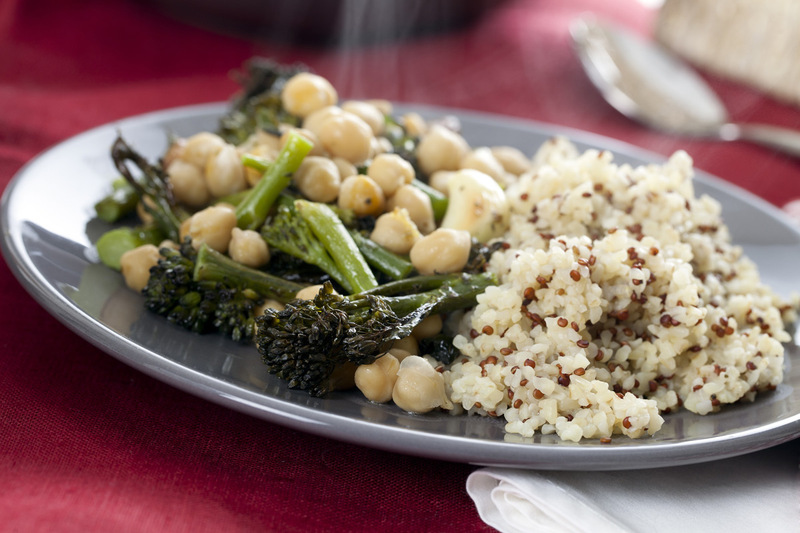 Plate the quinoa and bulgur mix with the broccoli stir fry.